Columbia College trustee and former Brooklyn Mayor, Seth Low was elected Columbia's eleventh president, leading the College through further expansion and change. During Low's administration Columbia College procured 18 acres in Morningside Heights and selected the architectural firm McKim, Mead and White to develop a new campus on the site of the former Bloomingdale Asylum. In 1897 Low Memorial Library (generously gifted by Seth Low in memory of his father Abiel Abbott Low), Schermerhorn and Fayerweather Halls were completed and the College formally took possession of the new campus. In 1896, reflecting the increased focus on graduate and professional education, the trustees voted to adopt the name "Columbia University in the City of New York", although the official name change was not legalized by the New York State Legislature until 1912. "Columbia College" continued to be used to identify the undergraduate college formerly known as the "School of the Arts". In 1901, the University introduced innovative part-time study for students on campus and home study correspondence courses through a summer session and an extension program. 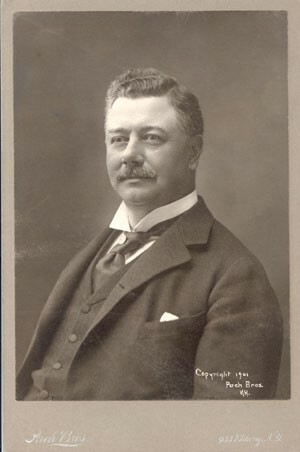 Following a successful tenure in academia Low resigned his position as president to return to politics as the second mayor of the newly consolidated City of New York from 1901-1903. He pursued an active role in public service for the rest of his life, becoming president of the National Civic Federation in 1907 and president of the New York Chamber of Commerce in 1914. Read more about Seth Low in Columbians Ahead of Their Time.